The Australian Government has today launched an information security strategy under which AU$230 million will be spent over four years to improve critical infrastructure defences through private and public sector information sharing, innovation security centres, and by bankrolling support for 5000 security tests for businesses. Speaking at the Cyber Security Strategy launch in Sydney today Prime Minister Malcolm Turnbull outlined the investments in new information sharing hubs, university skills, and ambassadors to help bolster engagement with the private sector and regional allies. He also acknowledged the long-suspected, never-acknowledged offensive hacking capability within the Australian Signals Directorate. Turnbull said Australia only conducts such attacks for defense and deterrence purposes, sometimes directed against criminals, and did not acknowledge Australian efforts to hack for intelligence purposes on its own behalf or to assist fellow members of the Five Eyes security alliance. 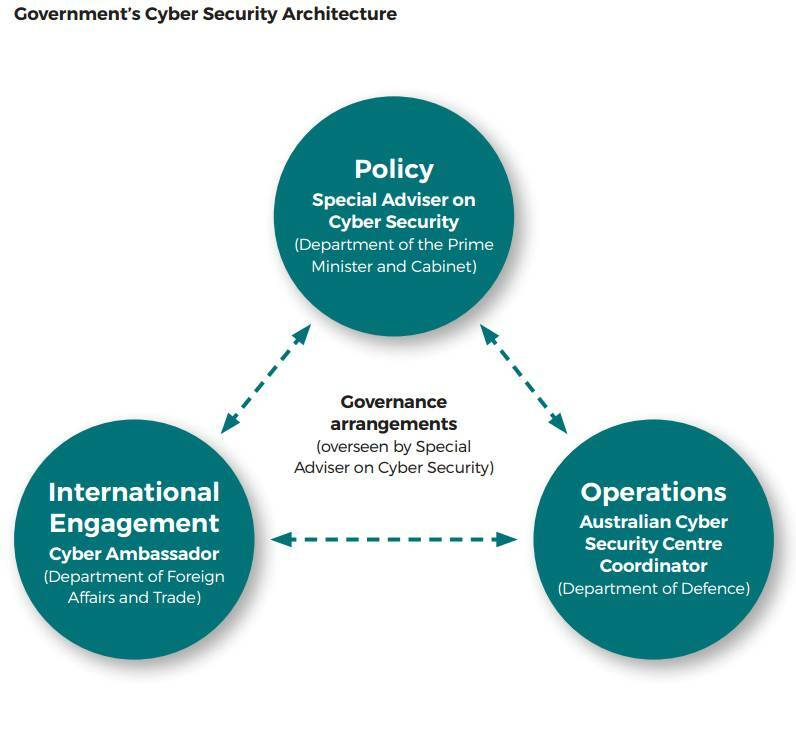 The Strategy (PDF) will see some $39 million head to the Australian Cyber Security Centre to help access with the private sector and a further $47 million dedicated to threat-sharing centres. Some $30 million will be tipped into an industry-led Cyber Security Growth Centre headed by the CSIRO’s Data61 chief executive Adrian Turner and NICTA board member Doug Elix, while universities will be provided with security centres of excellence to provide students with relevant work-related skills. 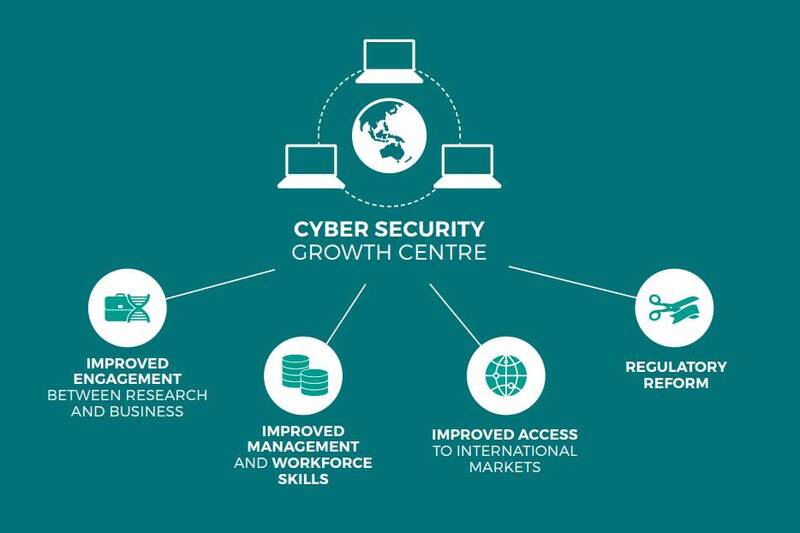 That growth centre is designed to combat what Mr Turnbull says is a lack of investment in the innovative Australian security industry. Cyber security innovation centres will be spread throughout Australian capital cities in so-called nodes. The NSW node will be located in the Australian Technology Park in Sydney while Victoria’s will be housed in the existing Oceania security centre in Melbourne. The Government will also bankroll security testing for some 5000 small to medium enterprises, and provide ASX 100 companies “governance health checks” which will be eventually offered up to the broader industry. Details about the format or breadth of the security tests were not forthcoming. The existing Australian Cyber Security Centre will be plucked out of the Australian Security and Intelligence Agency (ASIO) facility in Canberra and relocated to improve private sector engagement. Turnbull said information security is an afterthought in technology design, making information sharing and collaboration critical. “The role of security is as important today as it has been in the past,” Mr Turnbull told reporters. “Within very specific circumstances the Government will work with the private sector within agreed legal frameworks and oversight to fight serious online crime and extremism. Mr Turnbull said Australia’s offensive security capabilities are a much-needed deterrent to those who would attack the nation adding it is deployed under stringent oversight. Australia’s “… defensive measures may not always be adequate to respond to serious cyber incidents against Australian networks … an offensive cyber security capability housed in the Australian Signals Directorate provides another option for governments to respond. “The use of such as capability is subject to stringent legal oversight and is consistent with our support for the international rules-based order, and our obligations under international law. Mr Turnbull also acknowledged the already reported breaches of the Bureau of Meteorology and the Department of Parliamentary Services, adding that the agencies are working with security agencies to up their game. The strategy will see about 100 specialists employed under its 33 new information security initiatives, including the appointment of Children’s E-safety Commissioner Alastair MacGibbon as the Special Adviser to the Prime Minister on Cyber Security. MacGibbon will be responsible for leading development of security strategy and policy, and to provide objectives and priorities to operational agencies including oversight of implementation. He will lead a “cultural change” about how whole of government approaches security, and to better engage the media, Mr Turnbull said. A position of Assistant Minister on Cyber Security will also be create to assist with interactions between the private and public sectors. A Cyber Ambassador will also be appointed by the Minister for Foreign Affairs to promote Australia’s intent for an “open, free, and secure internet” working with regional and international partners. The investment complements some $400 million in funding for 800 specialist security defense and intelligence jobs over the next decade as part of the Government’s 2016 Defence White paper. This will increase the capability of the Computer Emergency Response Team Australia which serves in part as a valuable point of contact for reporting breaches found by public and private security white hats. It will also boost the number of specialist in the Australian Crime Commission and the Australian Federal Police.